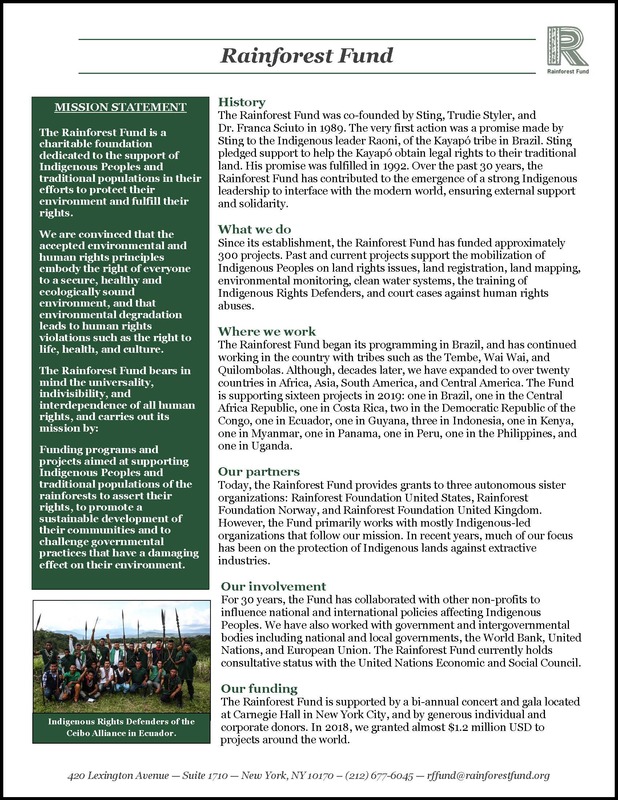 The Rainforest Fund is a charitable foundation dedicated to the support of Indigenous Peoples and traditional populations in their efforts to protect their environment and fulfill their rights. We are convinced that the accepted environmental and human rights principles embody the right of everyone to a secure, healthy and ecologically sound environment, and that environmental degradation leads to human rights violations such as the right to life, health and culture. 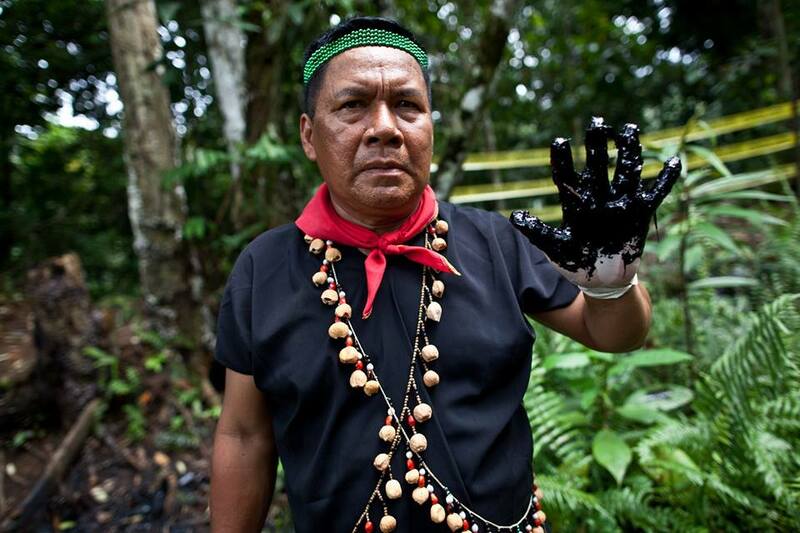 Funding programs and projects aimed at supporting Indigenous Peoples and traditional populations of the rainforests to assert their rights, to promote a sustainable development of their communities and to challenge governmental practices that have a damaging effect on their environment.